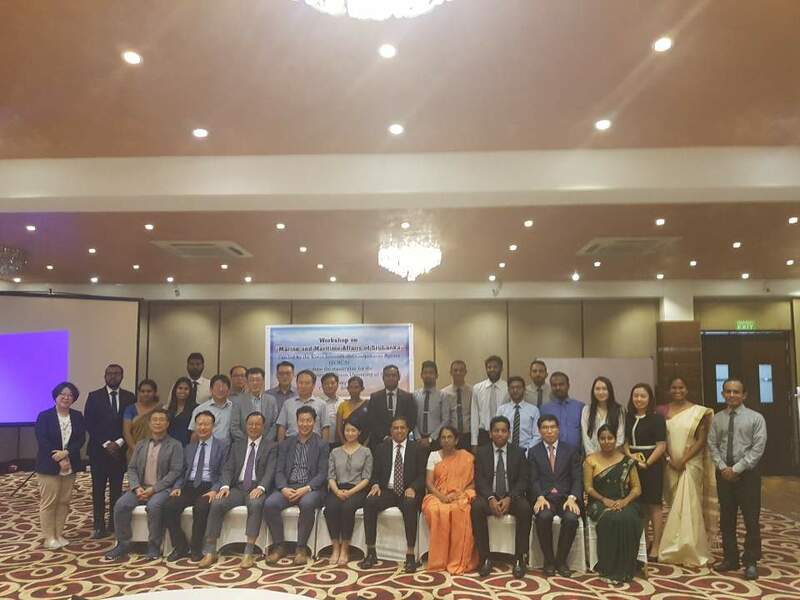 the Master Plan and Capacity Building of the Ocean University of Sri Lanka” on the 25th January 2019 at The Grand Monarch Hotel, nearly 40 people including many government officials and representatives from other relevant organizations participated in the workshop. The purpose of this workshop is to examine the current status of marine and maritime sector in Sri Lanka to enhance the capacity of the Ocean University of Sri Lanka. KOICA, in cooperation with the Korea Maritime and Ocean University, Bukyung University and the Ministry of Skills Development and Vocational Training of Sri Lanka, has been implementing this project from period of 2016 to 2021, with grant worth 3 million USD. Ms. Jie Soo Lee, Deputy Country Director of KOICA Sri Lanka Office, during her welcome speech emphasized the need in higher education in Maritime Industry to boost the economic development of Sri Lanka and acknowledged the gathering for sharing their knowledge in their respective fields of expertise. Mr. Thilak Dharmarathne, Vice Chancellor of the Ocean University of Sri Lanka, while delivering his speech, explained the importance of the Maritime Education in Sri Lanka. The main objective of this project is to support the establishment of the Ocean University by providing the master plan in order to ensure the optimum utilization of the Indian Ocean’s maritime resources by providing the technical expertise. In this regard, the workshop was focused on current status and future vision of marine industry such as ocean science, fisheries, ocean engineering and maritime business and logistics program. Sri Lanka has emerged as a maritime logistics nation in Southeast Asia, connecting the Middle East, Africa and Europe with abundant Oceanic and marine resources. Therefore, it is expected for the maritime industry to play an important role in the economic development of Sri Lanka. Hence the Sri Lankan government, based on their policy for promoting the maritime industry, changed the status – “National Institute of Fisheries & Nautical Engineering” to “The Ocean University of Sri Lanka” in 2014. However, in order to utilize the resources of Sri Lanka, there is a need for capacity building to generate higher educated personnel in the industry and be a part of the global logistics hub. Therefore, in order to boost the economic development, it is necessary to establish a master plan for the institute. As a step forward, the workshop has been designed to map the current situation of Sri Lankan maritime capacity and to grasp the human resources demand in global ocean market.